If you’re looking for Luxury Homes in Almaden Valley you’re likely looking for an upscale family oriented neighborhood, with gorgeous views from a hillside location. Equestrian properties are available here. Let us know what type of house you’re looking for. Start with our gallery. Premium locations include property adjacent to Almaden Quick Silver County Park with views of Mount Umunhum and Mount Thayer and a southwesterly aspect. Lot sizes for luxury homes in this desirable location in Silicon Valley range with up to an acre possible. On the perimeter some of the luxury estates offer larger lot sizes and are suitable as equestrian property. There is some land available for building your dream. Land prices are a premium in this sought after area of San Jose. Let us help you build new construction! We can connect you with builders and lenders. Luxury home styles include: Colonial, Tudor, Ranches, New Construction, Contemporary. If golf is your favorite pass-time, this is the perfect location to live. In addition to The Country Club you’ll find Cinnabar Hills Golf Club. 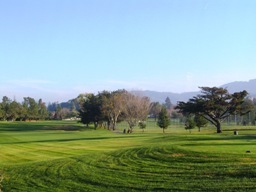 Coyote Creek Golf Club is not too far away as well as Boulder Ridge Golf Club and Santa Teresa Golf Course. Properties include some of the most expensive homes in San Jose, we can show you other locations to find the perfect match for your family and your lifestyle. Let us know the features you’re looking for in your dream house. 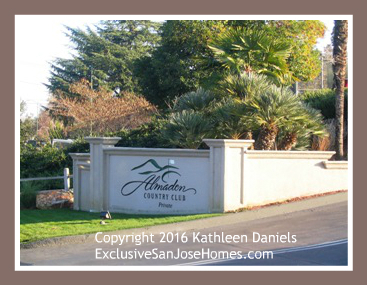 If buying a luxury lifestyle in San Jose is in your future, call or email Kathleen for assistance. Kathleen is ready to help you identify the perfect part of San Jose for your new property. Whether moving locally or relocating to San Jose, Kathleen has been serving luxury home buyers and sellers for 15+ years and lives locally. We are here to show you the best Luxury Homes for sale in Almaden Valley or Mansions for sale in San Jose CA.